The purpose of this research is to examine the effectiveness of a model that purports to improve the sustainability of ATE projects and centers. According to Lawrenz, Keiser, & Lavoie (2003), several models for sustainability have been proposed in the organizational change literature. However, for the most part, the models are advocacy statements based on author experience rather than on empirical studies. These authors concluded there was little research directly related to sustainability. 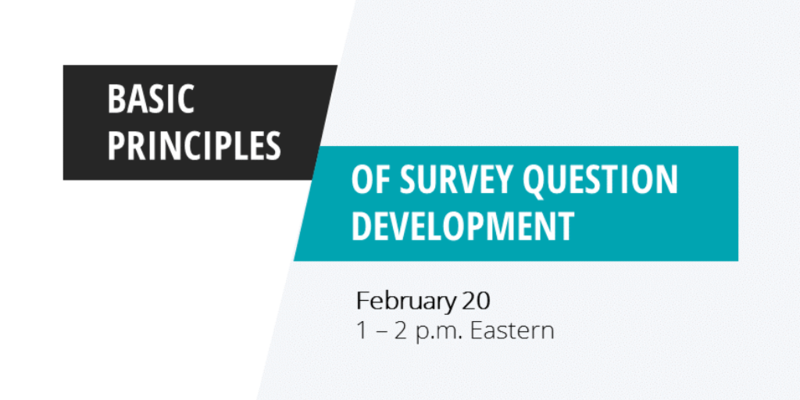 Survey developers typically spend a great deal of time on the content of questionnaires. We struggle with what items to include, how to ask the question, whether an item should be closed-ended or open-ended; the list of considerations goes on. After all that effort, we generally spend less time on a smaller aspect that is incredibly important to web surveys: the subject line. I have come to appreciate the extent to which the subject line acts as a “frame” for a survey. In simplistic terms, a frame is how a concept is categorized. Framing is the difference between calling an unwanted situation a challenge versus a problem. There is a significant literature that suggests that the nature of a frame will produce particular types of behaviors. For instance, my firm recently disseminated a questionnaire to gain feedback on the services that EvaluATE provides. As shown in the chart below, initially we received about 100 responses. With that questionnaire invitation, we used the subject line EvaluATE Services Survey. Based on past experience, we would have expected the next dissemination to garner about 50 responses, but we got closer to 90. So what happened? We had started playing with the subject line. EvaluATE’s Director, Lori Wingate, sent out a reminder email with the subject line, What do you think of EvaluATE? When we sent out the actual questionnaire, we used the subject line, Tell us what you think. For the next two iterations of dissemination, we had slightly higher than expected response rates. For the third dissemination, Lori conducted an experiment. She sent out reminder notices but manipulated the subject lines. There were seven different subject lines in total, each sent to about 100 different individuals. The actual questionnaire disseminated had a constant subject line of Would you share your thoughts today? As you see below, the greatest response rate occurred when the subject line of the reminder was How is EvaluATE doing?, while the lowest response rate was when Just a few days was used. These results aren’t completely surprising. In the 2012 presidential election, the Obama campaign devoted much effort to identifying subject lines that produced the highest response rates. They found that a “gap in information” was the most effective. Using this explanation, the question may emerge as to why the subject line Just a few days would garner the lowest response rate, because it presents a gap in information. The reason this occurred is unclear. One possibility is that incongruity between the sense of urgency implied by the subject line and the importance of the topic of the email to respondents made them feel tricked and they opted not to complete the survey. Taking all of these findings together tells us that a “rose by any other name would not smell as sweet” and that what something is called does make a difference. So when you are designing your next web survey, make sure crafting the subject line is part of the design process. The purpose of this survey was to better understand the nature of the ATE projects, and to begin to address the effectiveness of those grants. The survey was web based, and respondents could provide the requested information using their computers once they were given their individual user names and passwords.